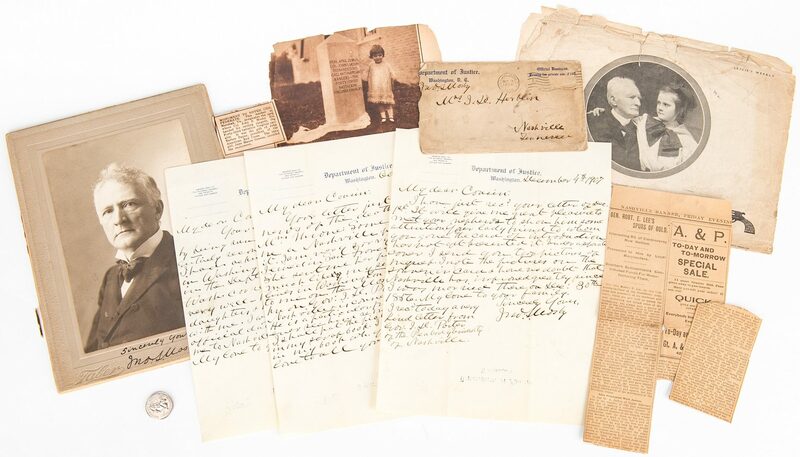 Archive of 8 items related to John Singleton Mosby, the Confederate "Gray Ghost," including three (3) ALS, one (1) signed cabinet card, and three (3) related newspaper articles, 8 items total. 1st-3rd items: Three (3) ALS. 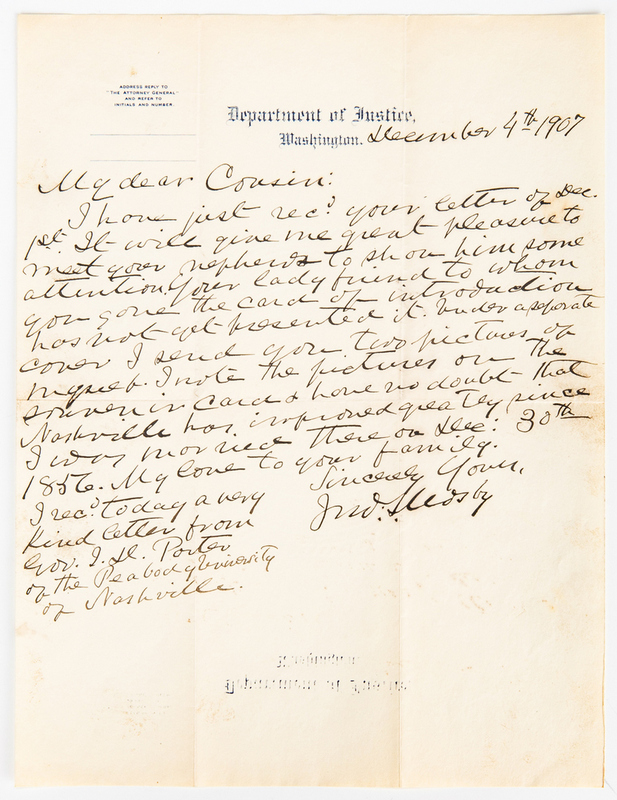 One page handwritten letters written on Department of Justice, Washington, D.C. stationary. 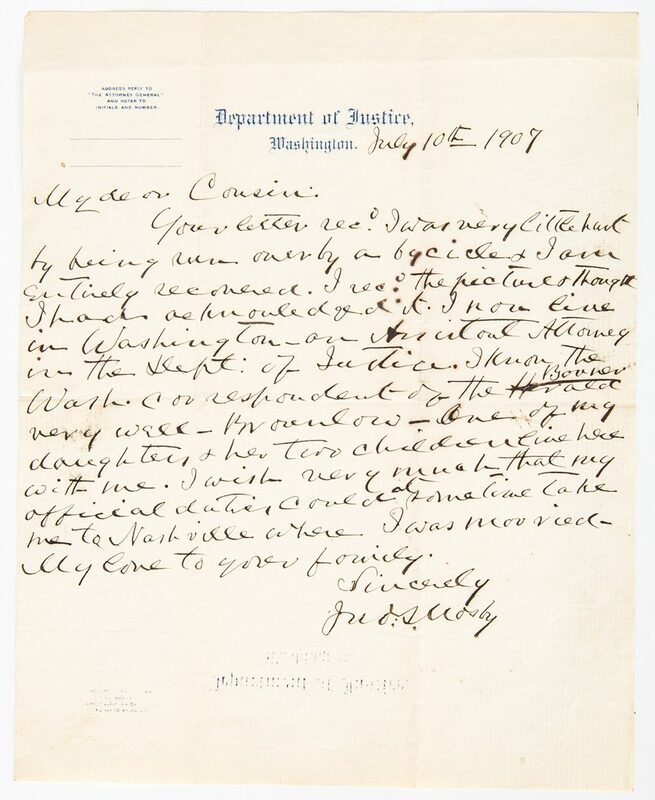 From John Singleton Mosby, at the time of the letters working as an Assistant Attorney in the Department of Justice, Washington DC, to Mrs. J. D. Herblin, his cousin, Nashville, Tennessee. 1st item: Letter dated July 10, 1907. 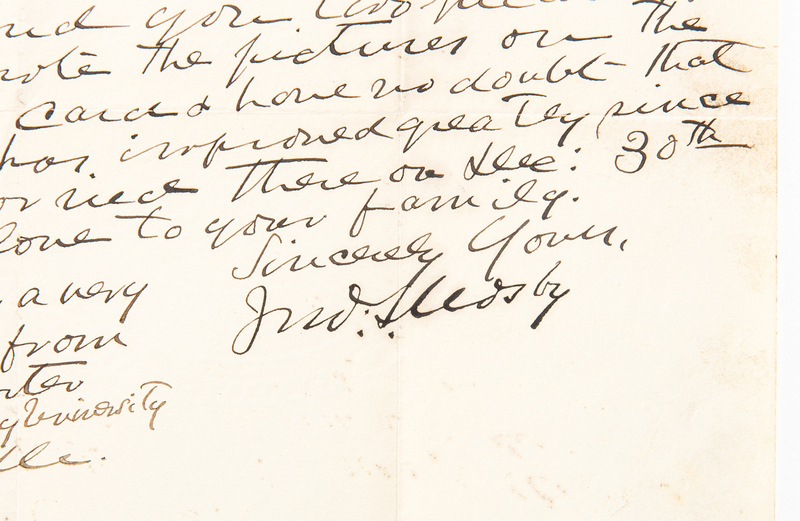 Mosby describes his life in Washington, D.C. writing "My dear Cousin: Your letter recd. 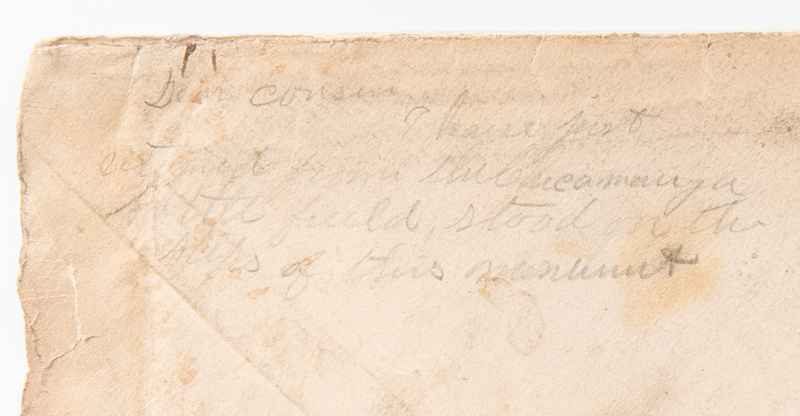 I was very little hurt by being run over by a bycicle [sic] & I am entirely recovered. I recd. the picture & thought I had acknowledged it. I now live in Washington–an Assistant Attorney in the Dept. of Justice. I know the Wash. correspondent of the Boston Herald very well–Brownlow–One of my daughters & her two children live here with me. I wish very much that my official duties could at some time take me to Nashville where I was married–My love to your family. Sincerely Jno.S.Mosby". 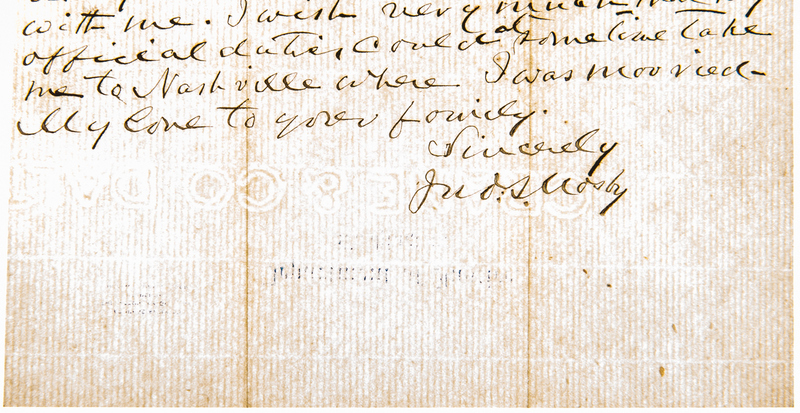 2nd item: Letter dated December 4, 1907. 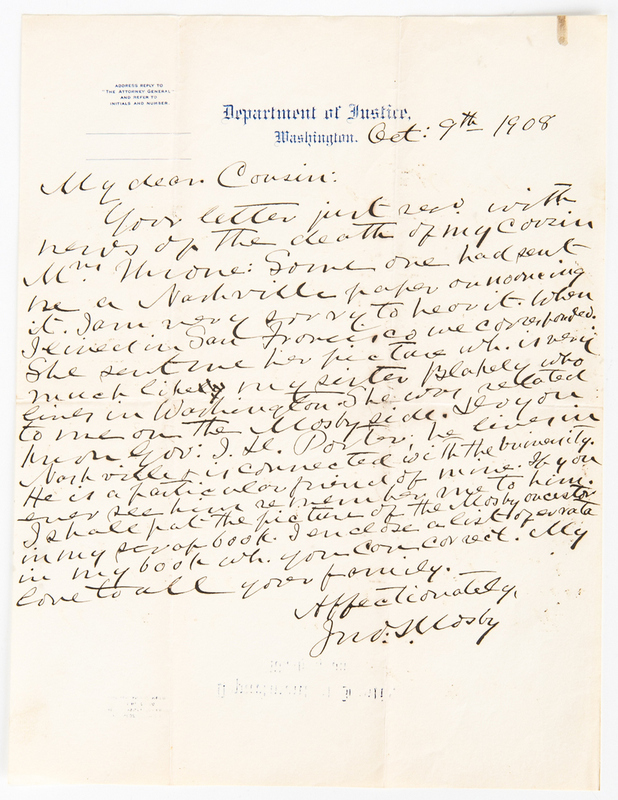 Mosby expresses his continued interest in Nashville, TN, stating "My dear Cousin: I just recd. 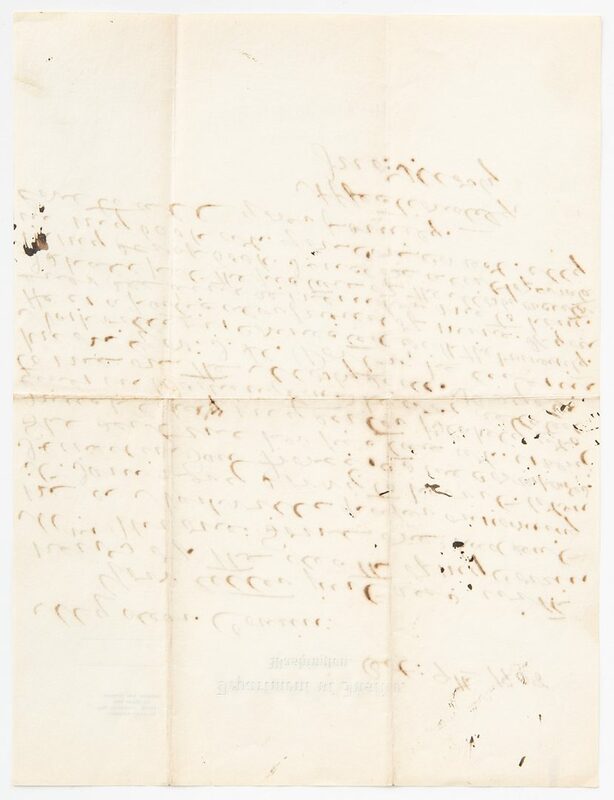 your letter of Dec. 1st. It will give me great pleasure to meet your nephews to show him some attention. 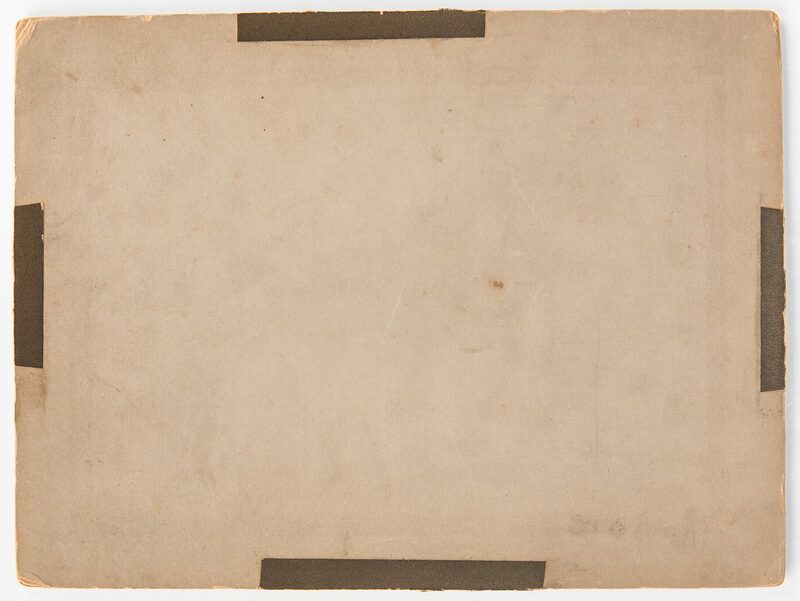 Your lady friend to whom you gave the card of introduction has not yet presented it…I send you two pictures of myself…[I] have no doubt that Nashville has improved greatly since I was married there on Dec: 30th 1856. My love to your family. Sincerely yours, Jno.S.Mosby" with additional message reading "I recd. today a very kind letter from Gov. 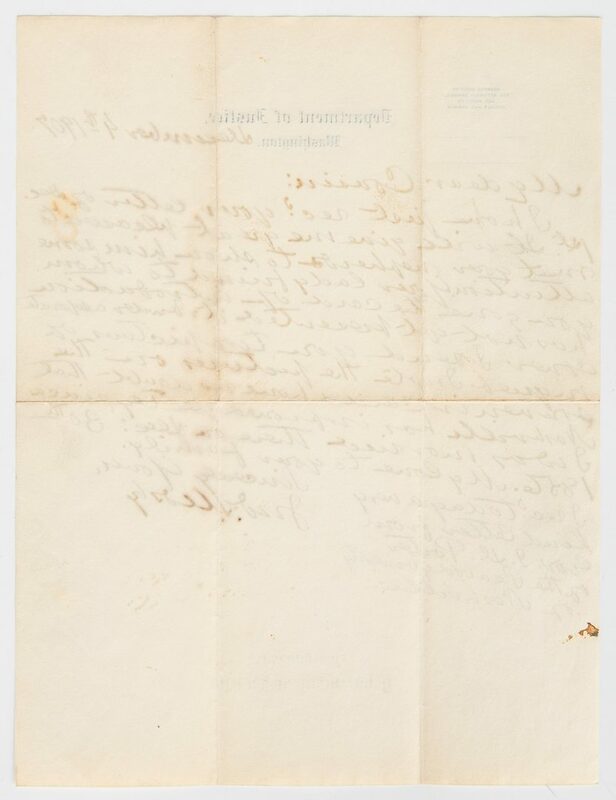 [James D.] Porter of the Peabody University of Nashville". 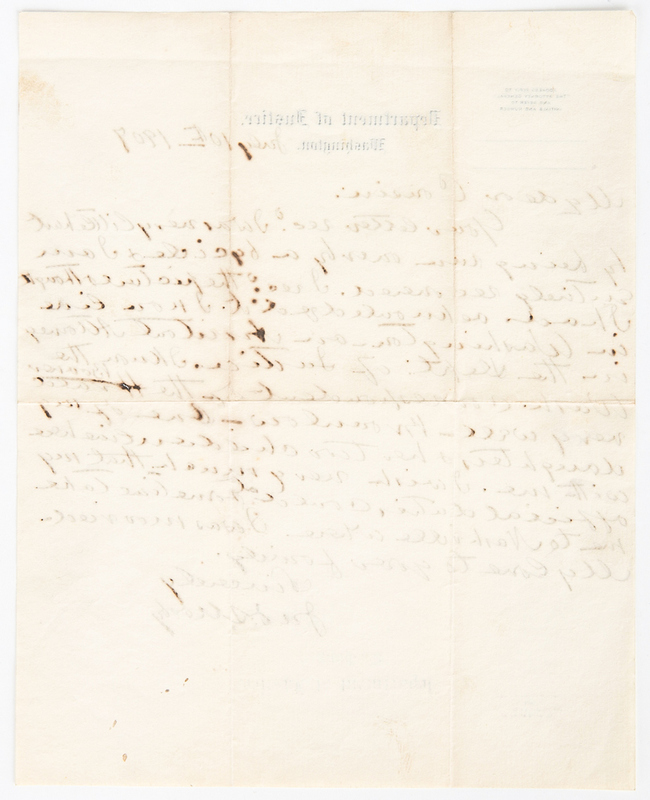 3rd-4th items: Letter dated October 9, 1908. 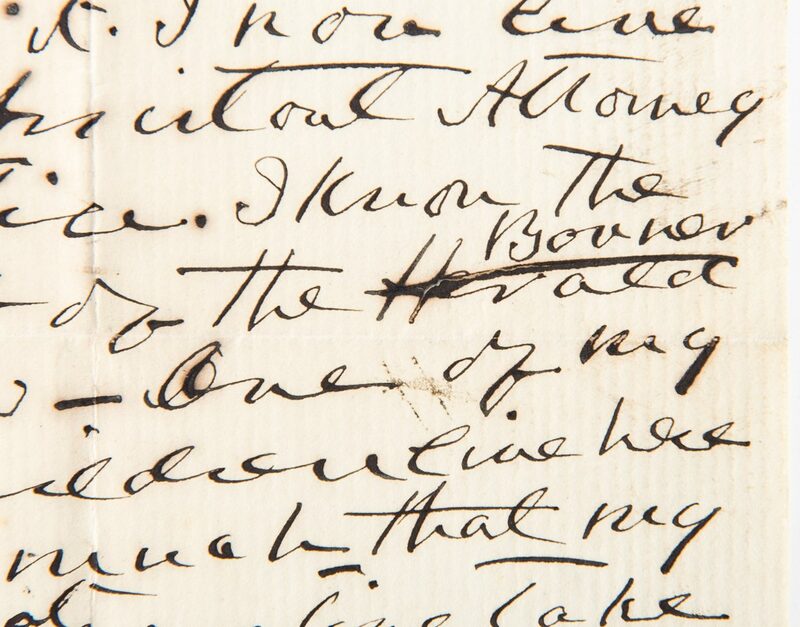 Mosby mentions his friend, James Davis Porter, writing "My dear Cousin: Your letter just recd. 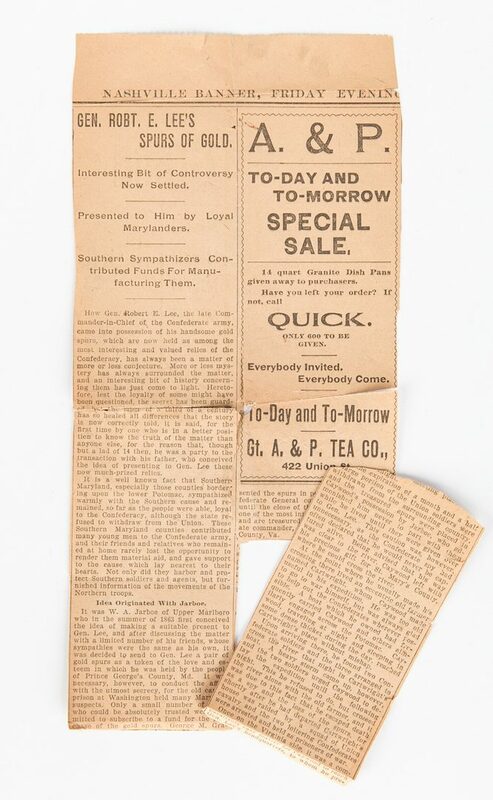 with news of the death of my cousin Mrs. Thorne: Someone had sent me a Nashville paper announcing it. I am very sorry to hear it. When I lived in San Francisco we corresponded. 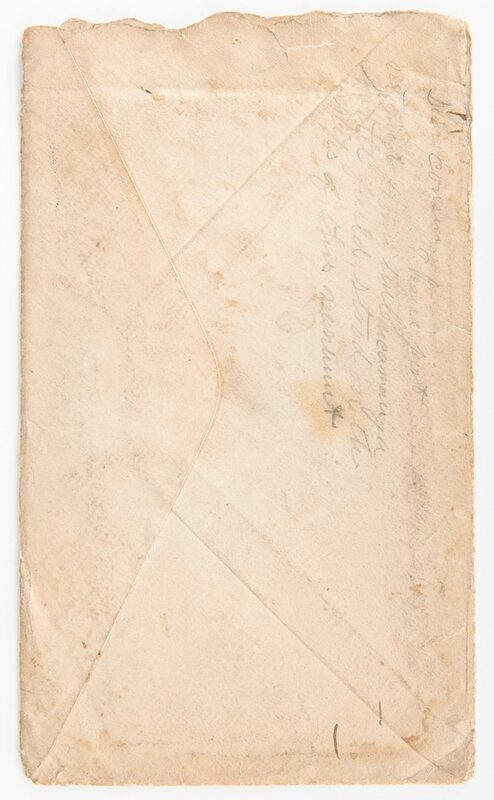 She sent me her picture [which] is very much like my sister Blakely who lives in Washington. She was related to me on the Mosby side. Do you know Gov. 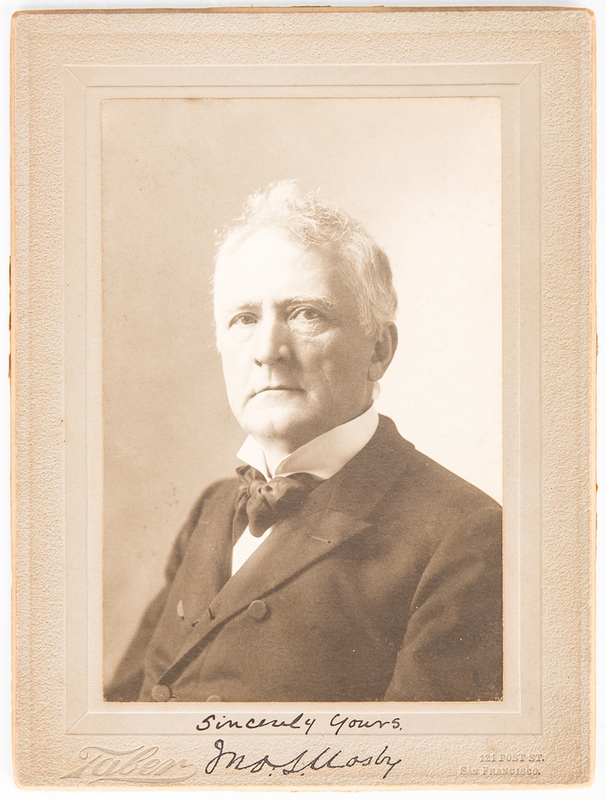 [James D.] Porter; he lives in Nashville & is connected with the University. He is a particular friend of mine. If you ever see him remember me to him. 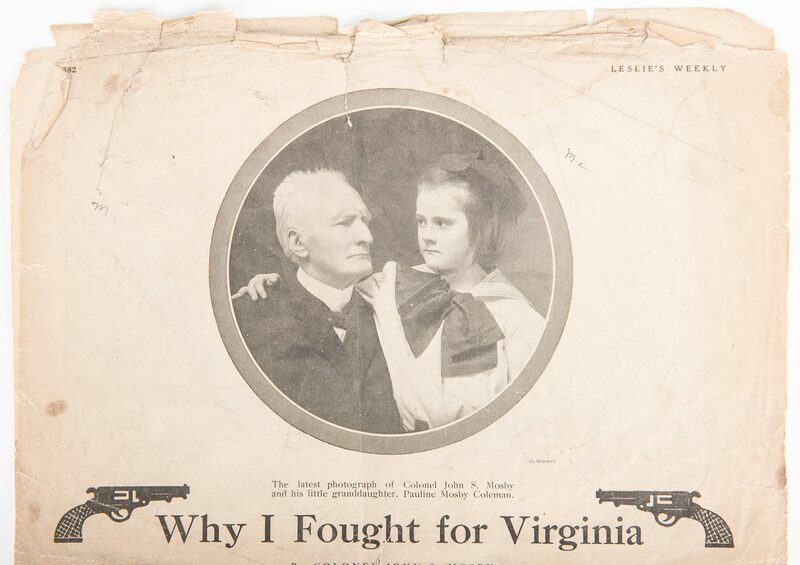 I shall put the picture of the Mosby ancestor in my…book. 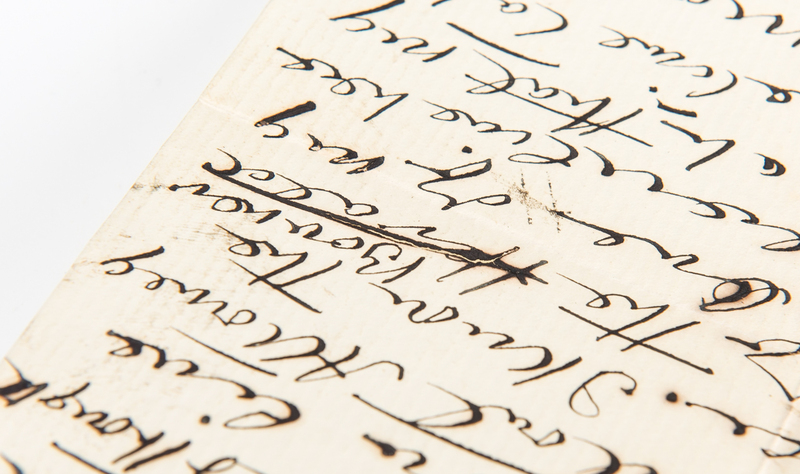 I enclose a list of errata in my book [which] you can correct. My love to your family. Affectionately, Jno.S.Mosby". 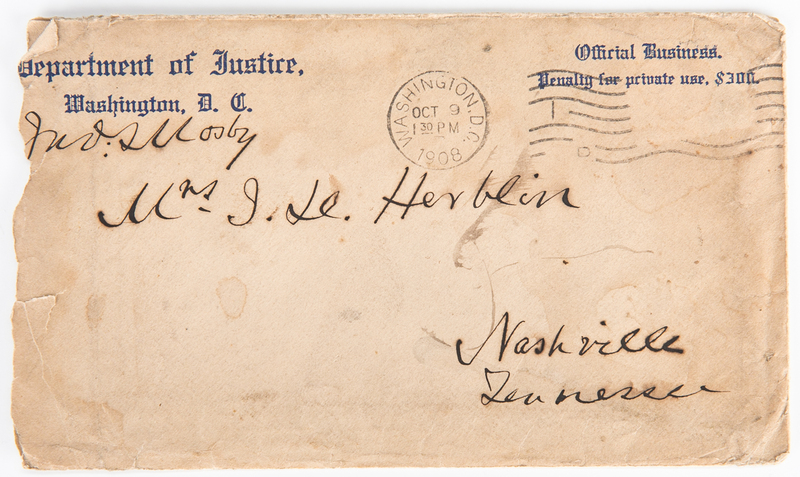 Includes a Department of Justice, Washington, D.C. envelope address in Mosby's handwriting, postmarked "Washington, D.C. Oct 9 1908 1 30 PM". 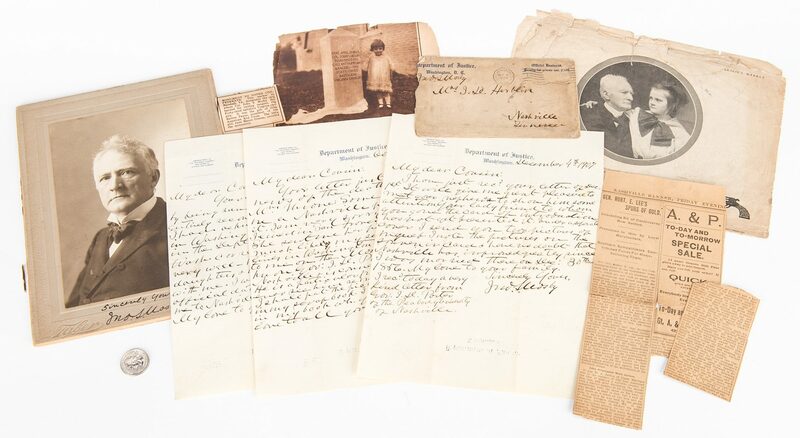 All letters approximately 10 3/4" H x 8 1/4" W. Envelope – 3 3/4" H x 6 3/8" W. Biography: James Davis Porter (1828-1912) was an American attorney, politician, educator, and officer of the Confederate Army. He served as Governor of Tennessee from 1875 to 1879. He was subsequently appointed as Assistant Secretary of State during President Grover Cleveland's first administration, and Minister to Chile in Cleveland's second administration. As an elected state legislator on the eve of the Civil War, Porter had introduced the "Porter resolutions" which bound Tennessee to the Confederacy should war be declared. He served during much of the war as chief of staff to Confederate General Benjamin F. Cheatham, and saw action at various battles in Tennessee and Georgia. Porter spent his later years as chancellor of his alma mater, the University of Nashville, and as president of Peabody College. This was established at the University of Nashville during his gubernatorial administration. 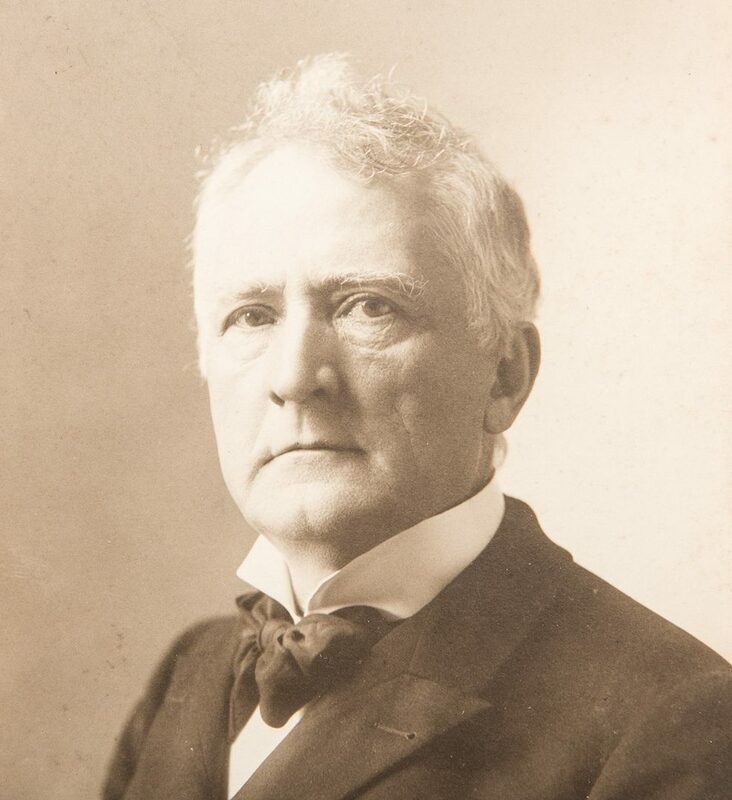 He oversaw the liquidation and transfer of the University of Nashville's assets to the Peabody Education Fund, which allowed Peabody College to be re-established near Vanderbilt University in 1909. (source: https://tennesseeencyclopedia.net/entries/james-davis-porter/). 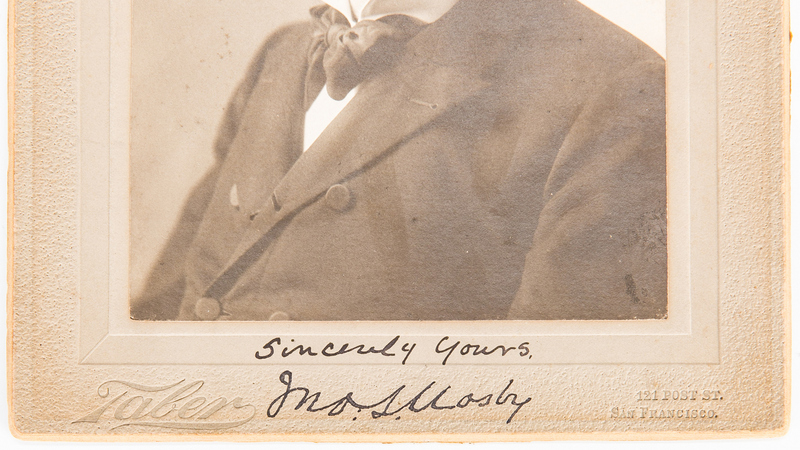 5th item: Signed large cabinet card depicting John Singleton Mosby as a well dressed man in his late middle age. Signed "Sincerely Yours, Jno.S.Mosby". Studio marks for Tabler, 121 Post St., San Francisco, under image, lower left and right. 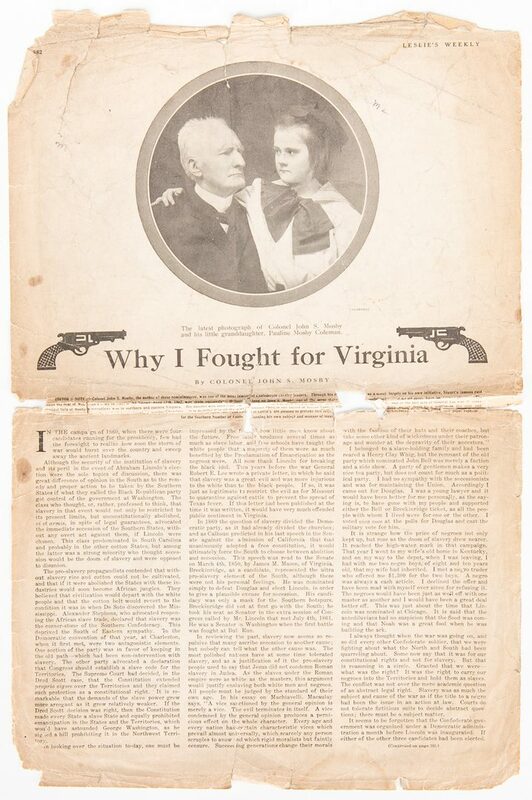 Image – 7 7/8" H x 5 1/4" W. Card – 10 1/8" H x 7 5/8" W. 6th item: Copy of "Why I Fought for Virginia" by John Singleton Mosby, published in Leslie's Weekly, Thursday, April 6, 1911, pages 381-382. 7th item: Copy of an article titled "Gen. Robt. E. Lee's Spurs of Gold", published in the Nashville Banner, Friday, April 21, 1899. 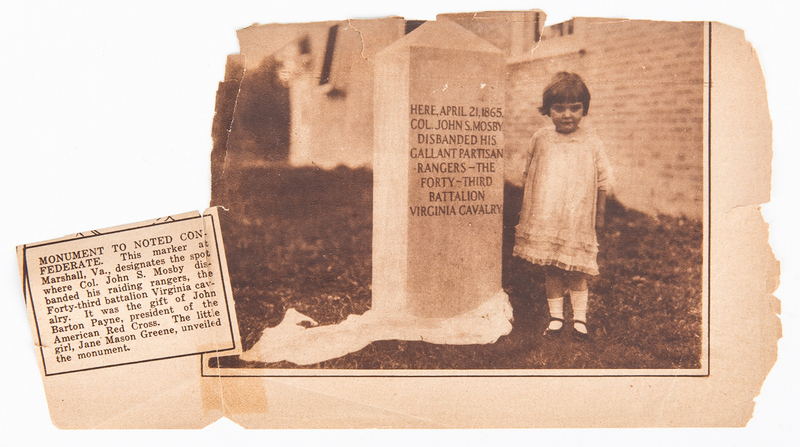 8th item: Copy of a photograph clipped from a newspaper commemorating the unveiling of the monument designating the spot where Mosby disbanded the Mosby Rangers, April 21, 1865, published circa 1916. Biography: John Singleton Mosby (1833-1916), also known by his nickname, the "Gray Ghost", was a Confederate army cavalry battalion commander in the American Civil War. 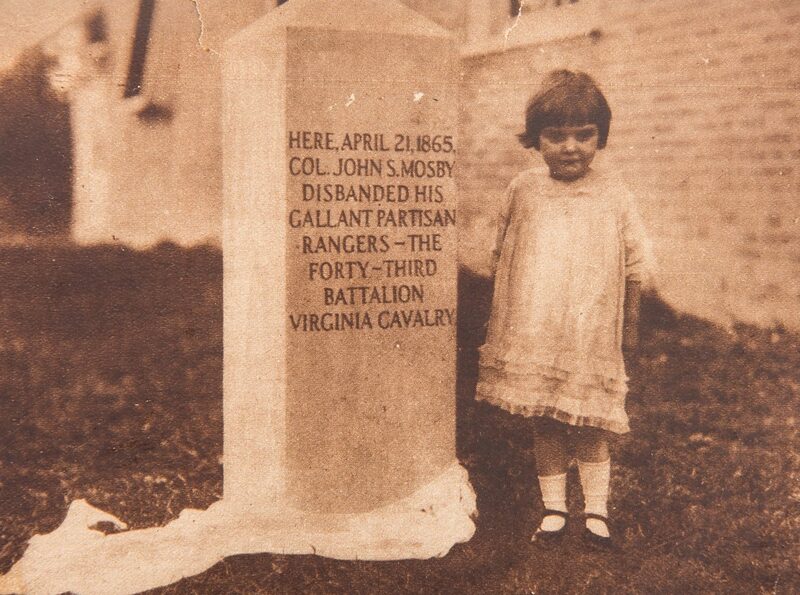 His command, the 43rd Battalion, Virginia Cavalry, known as Mosby's Rangers or Mosby's Raiders, was a partisan ranger unit noted for its lightning-quick raids and its ability to elude Union Army pursuers and disappear. After the war, Mosby became a Republican and worked as an attorney and supported his former enemy's commander, U.S. President Ulysses S. Grant. He also served as the American consul to Hong Kong and in the U.S. Department of Justice. CONDITION: Overall good condition with toning, foxing spots, dampstaining, tears, etc. to be expected from age. Mosby signatures in very good condition.